How to tell when it is an eye emergency? Blurry Vision in One or Both Eyes? 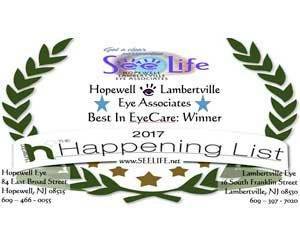 See Your Eye Doctor in Hopewell and Lambertville! What is an Optometric Physician? Purchasing Contact Lens Online Made Easy – “Contact Us” – We do the rest. When people think of workplace dangers to the eyes, it is usually machinery, chemicals or construction materials that come to mind. However, a growing danger to the eyes is one that may be less obvious - exposure to blue light from digital devices, television and computer screens and artificial lighting. Dr. Daniels lectured to students from Singapore and Saudia Arabia regarding the Identification and Management of Cataracts at the Pennsylvania College of Optometry: Center for International Studies. Dr. Daniels presented a lecture at Vision Expo East, the largest eyecare exposition in the world, on the topic of Point Spread Function Refraction. When Did You Last Have a Comprehensive Eye Exam? Winter time often leads to an increase in instances of dry eye syndrome due to the circulation of cold, dry air. Don’t Lose Your Flex Spending Account Dollars! Have You Had an Eye Exam Recently? Gas Permeable Lenses: Do They Make Sense for You? ASCRS (Association of Cataract and Refractive Surgeons) meeting in San Diego, CA. Should You Buy Your Next Pair of Glasses on the Internet? Diabetes, high blood pressure and other vascular related diseases can have a very deleterious effect on eye health. 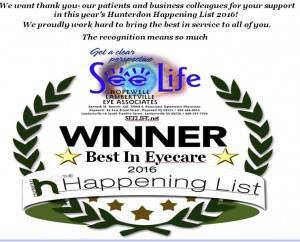 Eye Care / Vision care is your first step towards preventative and long-term health care. 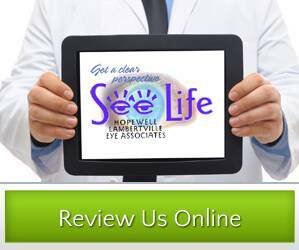 Eye health and vision evaluations are one of the most important aspects of an individual’s annual health care. It is the job of our doctors and staff to work as an integral part of your medical team to assure your well being.